HOW ABOUT THESE SUPER BOWLS?! We are whipping up real and delicious grain bowls and delivering them to you for you so that your healthy new year resolutions are made even easier to achieve! Additionally, In Good Company + Jacquibee Fit have partnered together to bring you specific macro-based meal packages to hit those targeted fitness and weight loss goals! The Greek Bowl: Brown rice bowl that includes spinach, feta, tomatoes, cucumbers, red onion, olives, toasted chickpeas, lemon and dill, served with Greek dressing. Choice of roasted vegetables or lemon garlic chicken. The Mexican Bowl: Brown rice bowl that includes cucumbers, tomatoes, corn, black beans, jalapenos, seasonal roasted vegetables, served with an avocado cilantro dressing and lime. Choice of ground turkey or roasted portobello mushrooms. The Harvest Bowl: Quinoa bowl that includes roasted fall and winter vegetables like Brussels sprouts, sweet potato or butternut squash, tomatoes, kale, seeds, and a maple tahini dressing. Choice of balsamic chicken or seitan apple and herb sausage (vegan). The Well-Balanced Bowl (50g Carb + 16g Fat + 28g Protein): This well-balanced macro-nutrient meal is created with the intention of creating a better balance of nutrients, better satiety, and of course flavor! A brown rice bowl with organic chicken breast roasted with lime and Mexican spices, roasted sweet potato garlic and onions, fresh tomatoes, bell peppers, and spinach, served with IGC’s Avocado Cilantro Dressing (vegan & contains nuts/nut free version available). The Performance Bowl (69g Carb + 8g Fat + 34g Protein): This meal that will not only contain an optimized nutrient profile, but to also cater towards person's who are eating a higher carb to fat ratio. A brown rice bowl with ground turkey cooked with Mexican spices, onions and garlic, roasted sweet potato, bell peppers, fresh spinach, and topped with toasted chickpeas. The Low-Carb Bowl (15g Carb + 25g Fat + 25g Protein): This meal optimizes nutrients with respect to people who follow a low-carb approach to their diet. This bowl also fits in line with folks sticking to a Paleo diet. A lime cauliflower rice bowl with Mexican spiced roasted chicken breast, roasted peppers and onions, fresh spinach and tomatoes. Served with IGC’s Avocado Cilantro Dressing (dressing is vegan and contains nuts/ nut free version available). CLICK HERE TO GET YOUR ORDER STARTED! Delivery fee of $5 for each weekly delivery. Order deadline for the week is Friday at 12pm CT.
Delivery/pick-up on Sunday 2pm to 6pm or Monday 8am to 12pm. 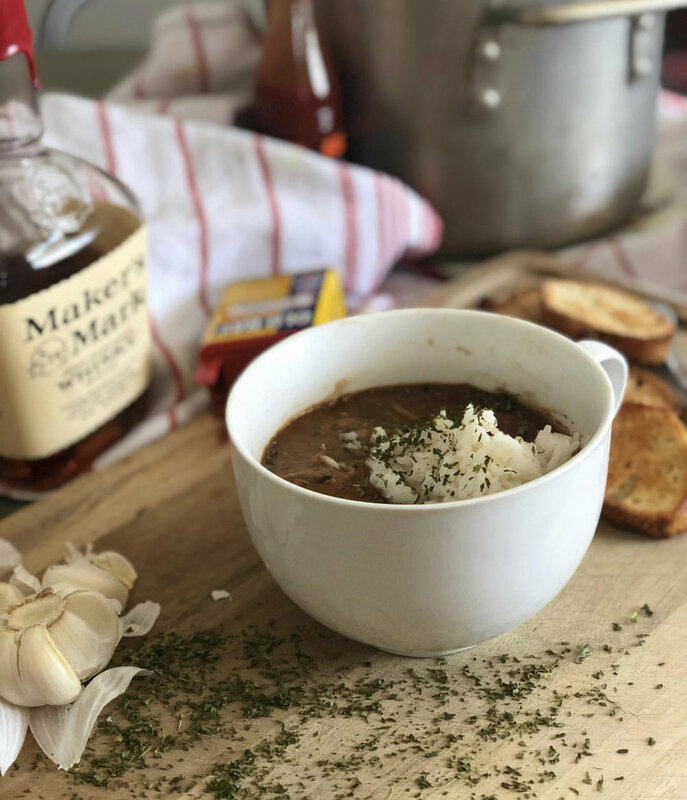 Made with locally sourced ingredients, fresh crab and gulf shrimp, this generations old family gumbo recipe will warm up your winter nights! It is great for dinner party or just a night in. All orders feed 4 to 6 people, are $32 and include one quart of homemade gumbo and white rice to accompany. Orders are due by January 31st for delivery or pick-up on February 3rd, 4th or 5th. To order just click this link and fill out this short order form: ORDER ME SOME GUMBO! TIS' THE SEASON, TO PARTY! …AS IF WE NEEDED AN EXCUSE. We are in full-swing party planning mode. Sit back and relax. We cater, cook, and serve so you can enjoy hosting. The options are endless; we can come directly to your home, set-up in a rented venue, or treat everyone from the office, in the office. We set-up and clean-up. You. Just. Party. Work directly with our team to plan a specific menu that suits your needs and serve a delicious meal using only the best ingredients. Because Everyone’s Doing It (Instagram that is). Making all of your Pinterest dreams come true. Whether incorporating your family heirlooms or bringing a few of our own; we partner with Wild Artifact to design and set a table that compliments your meal and elevates your atmosphere. WE’LL DROP-OFF ANY OF THESE HOSTING ITEMS. YOU JUST DROP THEM ON THE TABLE. All dips are served in 8oz. 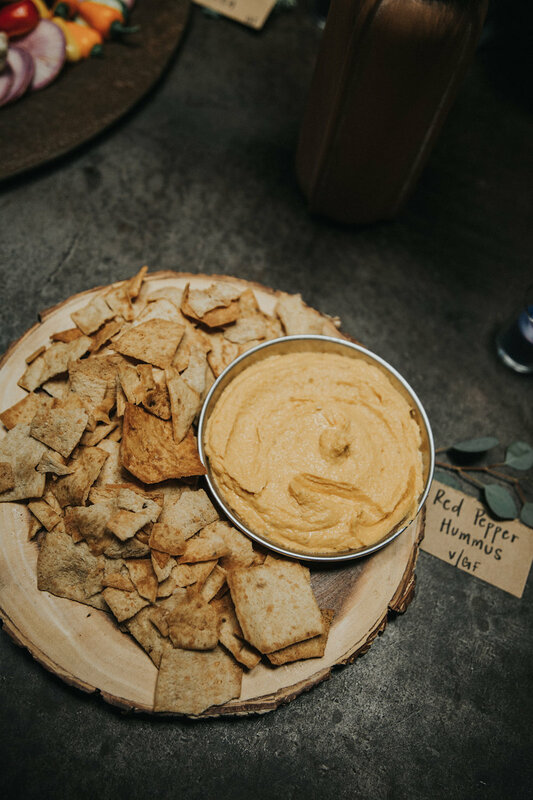 glass jars and include toasted pita chips and complimentary garnishes. Available for pick-up or delivery ($10 fee) on December 20th and 21st. December 20, 2018 | Trimble House | Nashville, TN. I would like to personally invite you to The Collective Fare's December Supper. The Collective Fare is a charitable community supper club I founded to align my love of food and community. The mission of the supper club is to establish an inclusive environment for food enthusiasts (just humans, really,) while creating a welcoming space for people to connect over a meal, and to have a genuine experience of community while giving back to our community. For every supper, The Collective Fare will partner with a charity to help support their cause. This month's spotlighted charity will be Youth Villages. They will be in attendance to share their story and to tell us how we can get involved. Every year, I volunteer with their Holiday Hero program, which ensures every child in their care receives a gift to celebrate the season. This is your opportunity to help cross off some items on their wish lists! I will be hosting a gift drive and collecting donations at the event. (Please make sure that the items are new.) Some example items are coats, toys, gift cards, etc. Please join me for an evening of autumnal feasting and community gathering at Trimble House. Eat and drink to your heart's and belly's content! More special announcements to come. Space is limited and ticket sales will close December 19th, so get your ticket pals! I hope to see you at the table! A portion of proceeds will benefit Youth Villages of Middle Tennessee. Can't attend but would still like to contribute? Are you interested in becoming a Holiday Hero? Please contact The Collective Fare directly or you can donate here. At In Good Company, we thrive on the idea of helping bodies through nourishing foods; prepared with love and backed by the power of ingredients rich in healing properties. Imagine our excitement when the opportunity to feed FLUX presented itself. Behold ✨…. Spirit of Coalescence — FLUX | November 18, 2018 | Trimble House | Nashville, TN. Join us for a dedicated day of spiritual exploration and connection. 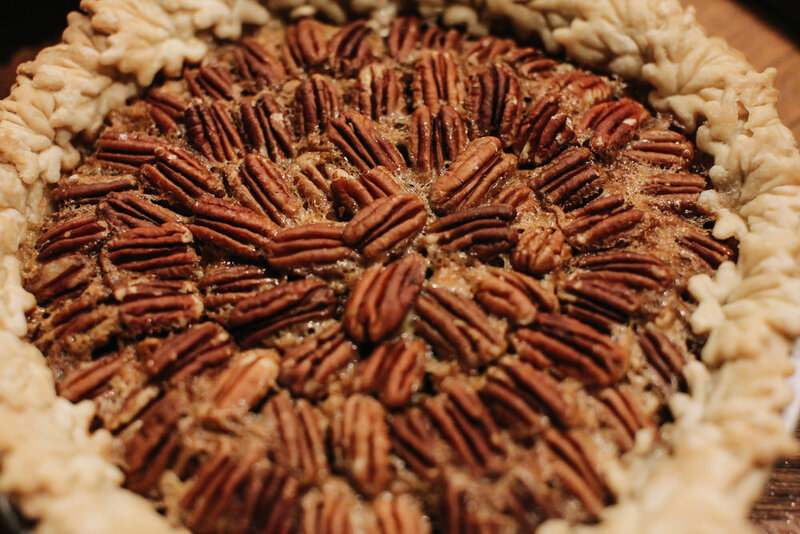 Holiday season is upon us and we cannot wait to feed you! All dishes come with reheating instructions. ALL DESSERTS (EXCLUDING IGC WHOOPIE PIES) ARE BAKED BY THE MOST TALENTED DANI VIET! THE COLLECTIVE FARE — FRIENDSGIVING ANNOUNCEMENT PARTY | November 18, 2018 | The Vault | Nashville, TN. I would like to personally invite you to The Collective Fare's Friendsgiving + Announcement Party. The Collective Fare is a charitable community supper club I founded to align my love of food and community. The mission of the supper club is to establish an inclusive environment for food enthusiasts (just humans, really,) while creating a welcoming space for people to connect over a meal, and to have a genuine experience of community while giving back to our community. For every supper, The Collective Fare will partner with a charity to help support their cause. This month's spotlighted charity will be Second Harvest Food Bank of Middle Tennessee. They will be in attendance to share their story and to tell us how we can get involved. I will be hosting a food drive and collecting donations at the supper until the end of November. Please feel free to bring them to the event! It is an absolute honor to host my first event and share it with my dearest friends and loved ones. Your ticket includes a catered dinner, beer, wine, and good times. (And maybe some fun surprises.) Please join me for an evening of autumnal feasting and community gathering at The Vault. Eat and drink to your heart's and belly's content! (Space is limited, so get your ticket pals.) I hope to see you at the table! SOBREMESA 18 — FALL EARTH | November 1, 2018 | Allform Studio | Nashville, TN. Supper: Sunday Suppers started nine years ago in NYC by Karen Mordechai. Through shared meals and the act of cooking communally, we celebrate the traditions of food and gathering. The food is seasonally focused and market fresh. Sobremesa is a new series of global dinners. 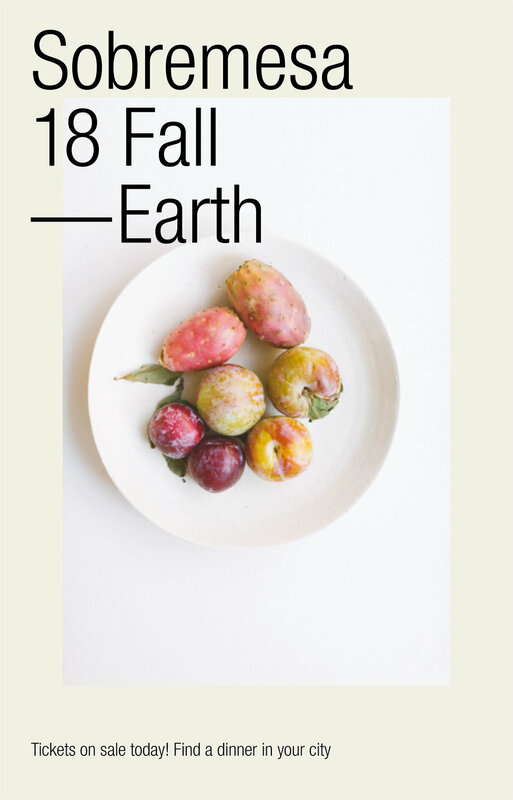 This meal is inspired by the earth and the processes of fermentation and natural aging. The menu highlights aged cheeses and meats, espresso, saffron and other deep avor pro les. - Communal Cooking: Guests are encouraged to roll up their sleeves and join in the preparation. 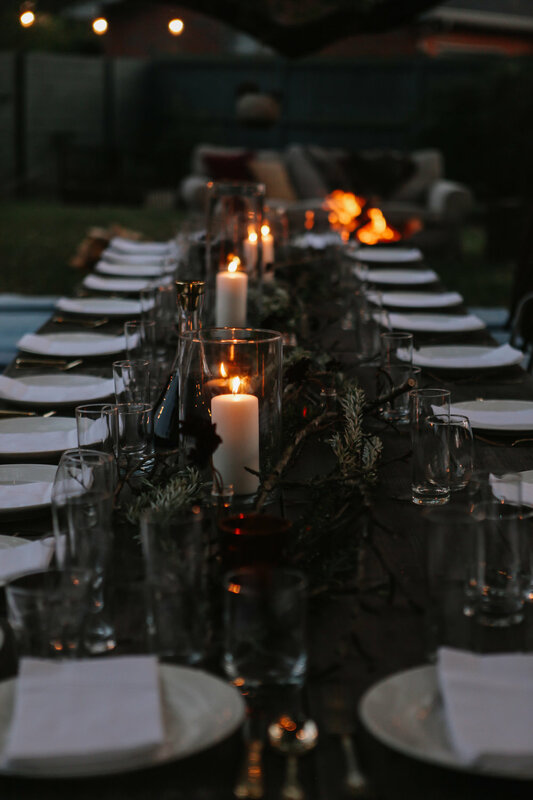 FALL DINNER | October 11, 2018 | Nashville, TN. 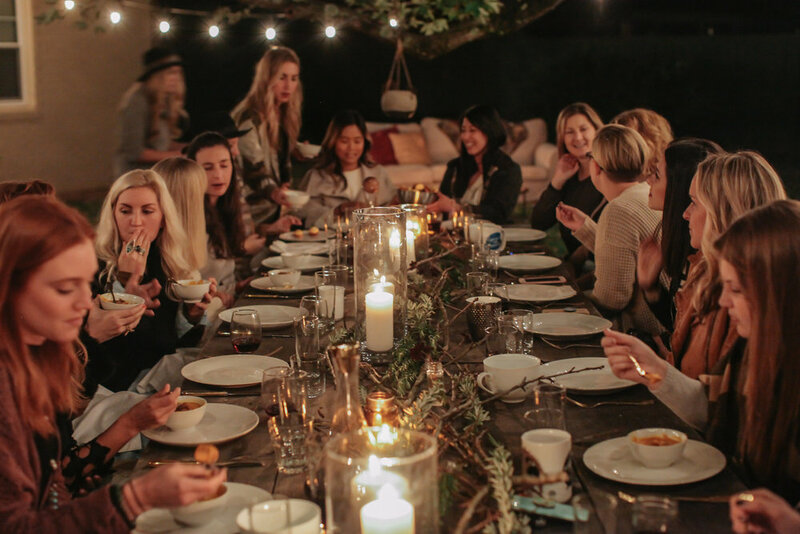 Supper: At Our Table by AT HER TABLE is a series of intimate gatherings held throughout the year in efforts to connect women with each other beyond social media. A place for women to get to know each other over a thoughtfully prepared meal. Our team believes in the value of community. Our goal is to stimulate growth within our own community by taking the time to slow down, invest, and celebrate each other.